From humble beginnings in 1980, the show has grown and evolved into Britain's greatest annual celebration of all that is best about the motorcycles of yesteryear. The event is a magnet for enthusiasts, club members and traders alike - attracting thousands from all over the country and beyond. It features the finest themed club displays in the world and there is fierce competition for the much-coveted 'best stand' award and cash prize every year. Dozens of private owners offer up their pride and joy for public scrutiny, including everything from immaculate showroom-condition motorcycles to rusty barn-finds freshly dragged from their decades-long resting place. This accessible show has a genuine family feel - with a host of personal touches that all add to the friendly and welcoming atmosphere. 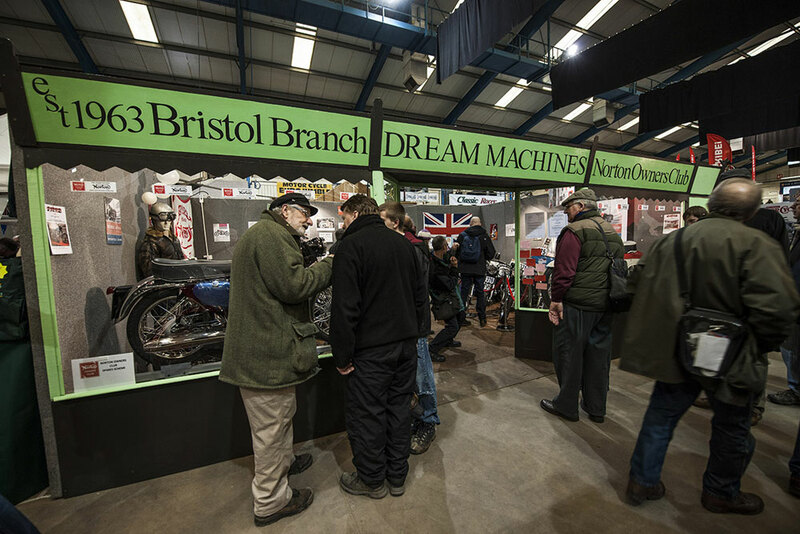 The autojumble at Bristol bike show offers some of the purest classic motorcycle autojumble found in the South West of England. 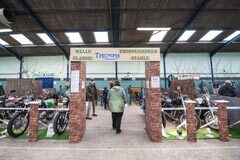 Taking up the majority of the outdoor space at the show, and inside the large Edmund Rack Hall, the autojumble is usually the first-stop for the majority of our visitors as soon as they walk through the gates - usually armed with a shopping list! The 2019 show will also host a number of Sunday-only autojumble plots, bringing in more opportunity for visitors to double their number of bargains. If you're interested in booking one of these pitches, they're available for just £20. It's the perfect opportunity for an early garage clearout! 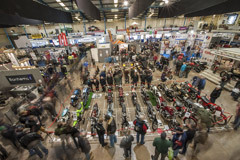 With a friendly atmosphere, Classic Bike Shows' annual trip to Britain's southwest is well known for the extravagant exhibitions put on by the local motorcycle clubs who go all out to impress. 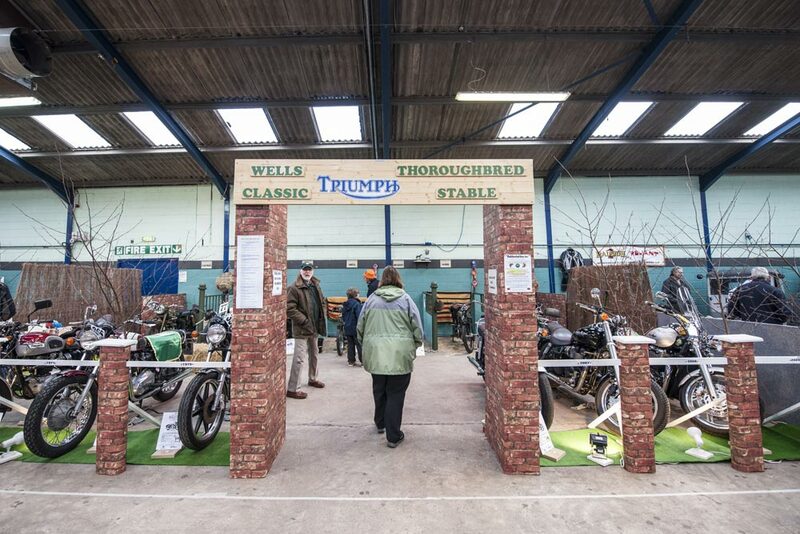 It's not uncommon to see a fully home-made motorcycle garage or club café make an appearance at the show; complete with hand-painted backgrounds, members in fancy dress and tea and coffee on tap! Not to mention their incredible collection of prized motorcycles on display for visitors to get up close and personal to. Our loyal clubs are at the heart of the show, and help make it what it is and what it has been for the past 40 years. 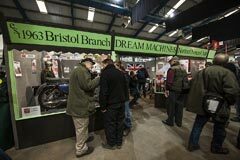 They work tirelessly to craft the most inspiring stands to provoke interest in their club and their motorcycles, and in turn, keep the classic movement alive. We salute them! So much so, that we offer cash prizes for the top three displays at the show every year. If you're a member of a classic motorcycle club and are interested in taking a stand at the show, please get in touch with the team today! 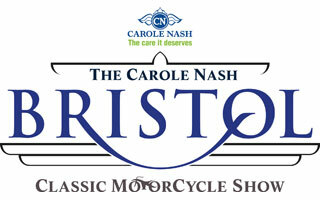 Bristol is also known for its incredible collection of some of the finest examples of privately-owned classic motorcycles in the country. We encourage owners to apply for a space sooner rather than later to ensure that they secure a space in the line-up that without fail attracts hundreds of visitors, photographers and journalists like moths to a flame! All those who bring their motorcycle along are automatically entered to win a variety of different awards, including the prestigious "Best in Show" prize. Owners of private entries also receive two all-weekend entry wristbands...plus, not to mention, their bike is admired by thousands all weekend! This event offers one of the earliest chances of the year for visitors to stock up on classic parts, spares, accessories and riding gear for the season ahead. It's a very popular date on the motorcycling event calendar, attended by more than 16,000 enthusiasts every year. 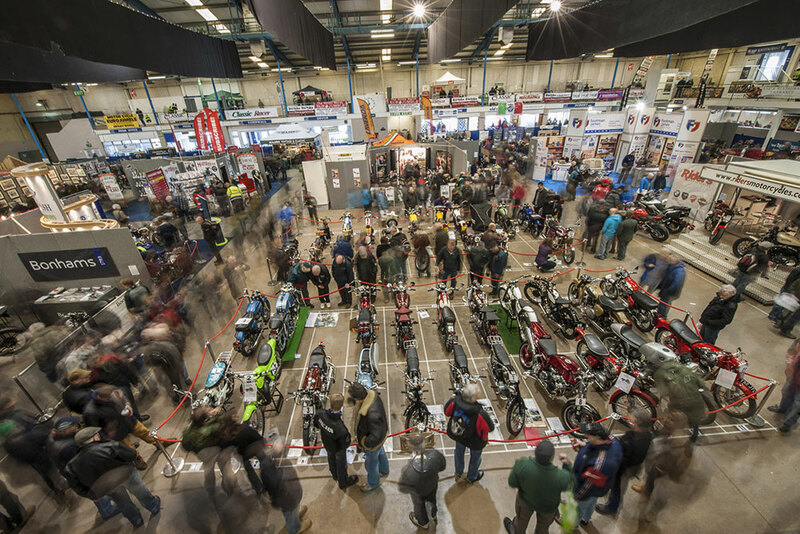 If you're looking for a specific part to complete your latest restoration, chances are you'll find it on one of the trade or autojumble stands at Bristol Bike Show! Tickets are available on the gate at the showground on the days of the event. Gates open at 9.30am both days. Please note - Tickets cannot be refunded or exchanged after purchase (unless the event has been cancelled, postponed or changed of date: see our terms & Conditions).